Dee C. Lee was born as Diane Catherine Sealey in Balham, South London on June 6, 1961. She was a backing vocalist for Wham! in the early Eighties, but left the group when she joined Paul Weller's new band the Style Council. At the same time, she launched a solo career. She later married Weller (although they have already divorced again by now), and they have two children, Nathaniel and Leah. 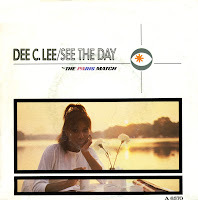 The self-penned ballad 'See the day' was released in 1985 and peaked at number 3 in the UK singles chart, the first and biggest hit of her solo career. The song was covered in 2005 by Girls Aloud.